Lawrence Martin Brammer, husband, father, grandfather, great-grandfather, professor, and world traveler passed away November 4, 2018 at the age of 96 in Seattle, Washington after a long and productive life of scholarly pursuits, devotion to family, and living out his passion for service to others. “Larry” was born August 20, 1922 in Crookston, Minnesota to Martin G. and Edna L. (Thiesen) Brammer. He grew up in Grand Rapids, and later St. Cloud, Minnesota. As a boy and young student, he excelled in scholastic activities including oratory competitions and school politics and experienced a growing love of music as a band member. These early interests persisted throughout his undergraduate studies at St. Cloud State University. Larry’s interest in psychology and counseling was piqued through classroom study, research, and related active volunteer activities. He graduated in 1943 with Bachelor’s degrees in Social Science and Music. While in college, he met a fellow clarinetist who became the love of his life. Marian (Marni) and Larry decided playing in the band together was not enough, marrying in February 1945, and spending the next 73 years of their lives together. Their shared love of music, especially playing the clarinet, and later piano and organ, nurtured his passion for sharing the joys, challenges, and possibilities for musical pursuits. This growing interest led him to share the benefits and positive effects with others in both personal and professional ways throughout his life. Like many of his generation, Larry was drafted into the army during WWII, and later completed Officer Candidate School and was commissioned as a Second Lieutenant. Fate would dictate that he did not arrive on the beaches of Normandy, but instead he served at Brooke Army Medical Center in Texas, where he developed one of the first music therapy programs in the country for wounded soldiers. Larry completed four years of military service and was honorably discharged from the army as a First Lieutenant. Larry continued his education at Stanford University completing his Master of Science degree in General Psychology in 1948, and his PhD in Counseling Psychology in 1950. These programs launched a lifelong career in teaching, counseling, research and writing. From Stanford Larry went on to teach at Sacramento State University in Sacramento, California for 15 years. While there, Larry was awarded a Fulbright Scholarship to teach and consult at the University of Tehran, Iran, where he moved with his family for one year. Returning from Iran in 1964, he moved with his family to Seattle, Washington to teach at the University of Washington, College of Education. He served as the Chair of the Educational Psychology Department for 6 years. Professor Brammer was also a leader in the Washington Office of Public Instruction efforts to develop measures and credentialing criteria for competency- based programs in counselor education. In addition, his deep commitment to professional counselors, led him to serve as president of the American Psychological Association (Division 17 Counseling Psychology). His published works include seven books, The Helping Relationship in its sixth revision, Therapeutic Psychology in its eighth revision, and six books translated into various languages. Larry enjoyed teaching and mentoring graduate students in counseling psychology and developed close, lasting relationships with many of them around the world. He said one of the highlights of his life was working with young adults and nurturing their growth. Professor Brammer “retired” from the University of Washington after 36 years, leaving a lasting impact on both his profession and the many lives he touched. In his retirement years, Larry continued to do research, write, revising previous editions of his books to reflect current thinking and best practice. As noted by others, Larry had never been one to rest on his laurels and continued to teach, consult, and offer his expertise and knowledge in the service of others. In his eighties he served as a Red Cross Disaster Volunteer Mental Health Specialist at several disaster sites providing counseling to families and supporting Red Cross workers. He and Marni continued to travel extensively, visiting the far corners of the world including Asia and Europe. 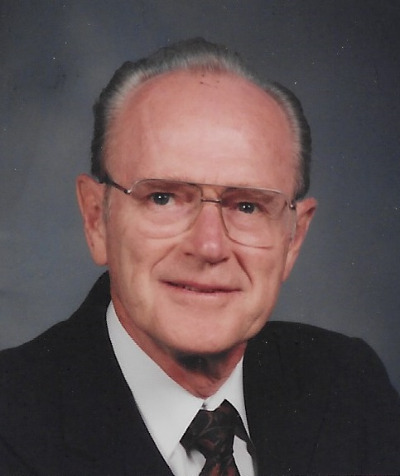 Larry continued to enjoy his many interests and provided his gifts of sharing, caring and service as a longtime member of University Lutheran Church, Queen City Yacht Club, Sand Point Country Club, and the University of Washington Club among others over the years. With Marni, he enjoyed raising his two daughters, boating, skiing, playing the organ, ballroom dancing, playing golf, attending concerts at the U.W. and spending time with his five grandchildren. He had a special passion for woodworking, which resulted in memorable projects for and with his grandchildren. He crafted a rocking horse that has survived to be a joy for his great grandchildren as well. His life was not complete without his family. His greatest joy was family activities with his daughters and later participating in and attending the many activities, milestone events and accomplishments of his five grandchildren! It was not uncommon to find him on the floor playing a game of UNO with one or more grandchildren or reading favorite books and fairy tales together. Later in life, Larry further enjoyed watching his four great-grandchildren grow and develop. To say that he was immensely proud of his family would be an understatement! Larry, at age eighty-six, said he felt that he had been able to age well because of good genes, a good marriage and children, luck, a good sense of humor, and by remaining active. After moving to the Aljoya community, both Larry and Marni continued to keep their minds and bodies active and engaged, participating in both longtime interests and activities and discovering some new ones, especially watercolor painting. Larry celebrated his 96th birthday on August 20, 2018. Larry strongly believed he was in this world to help make it a better place than when he found it. To that end, he was amazingly successful! Larry was loved by all who knew him and will always be remembered in the ways he was special and unique to each one whose life he has touched. Larry is survived by his wife Marian Brammer, two daughters, Karin McKee and Kristen Taylor, two sons in law, Denny McKee and Greg Taylor, five grandchildren and four great grandchildren. Interment was held at Tahoma National Cemetery in Kent, Washington. A memorial service to remember and celebrate Larry’s life will be held at the University Lutheran Church, 1604 NE 50th St, Seattle, WA 98105 at 1:00 PM on Saturday, December 8, 2018. Larry was my graduate advisor at the U of W. He was the model of a professional psychologist with qualities of intellectual curiosity, leadership, and the ability to get along with most people. Larry was a recognized scholar, a national leader in professional associations, and a pioneer in writing about the integration of various counseling theories and clinical approaches. Larry was very generous with me as his student. He found opportunities for me to gain experiences teaching, publishing, and obtaining clinical training that helped prepare me for professional practice in academia and the community. Larry was a kind person and had a good sense of humor. I appreciated the opportunity to get to know Marni and spend some time on their boat with my family. My best wishes to his family. We had the privilege of having Larry and Marni become part of our family when (brother) Denny married Karin. Besides all of his professional accomplishments he was simply one of the nicest, most down to earth people you could ever hope to meet. He always had thoughtful obsevations that made conversations with him a real pleasure - plus he had a great sense of humor! We loved him dearly. He will be greatly missed. Larry was both an amazing person and an outstanding professional I used his book with Everett Shostrum early in my teaching and admired his work and insight. I first saw him at a conference in California, dancing with Marnie. Such a beautiful couple and their good looks and charm have lasted right until Larry was 96 and Marnie is as wonderful and graceful now as always was. We eventually became well acquainted and friends. Larry and Marnie attended Mary and my wedding in Mt. Vernon, Washington. We were lucky as they were in LaConnor on one of their boat trips. We should also remember that Larry was skilled at boat repair, including fixing broken engines. A special person with an outstanding life of contribution and friendship.